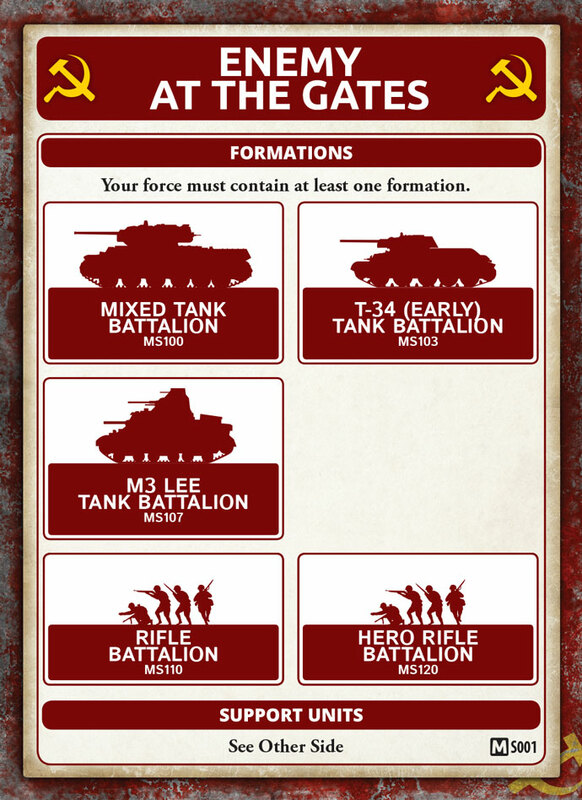 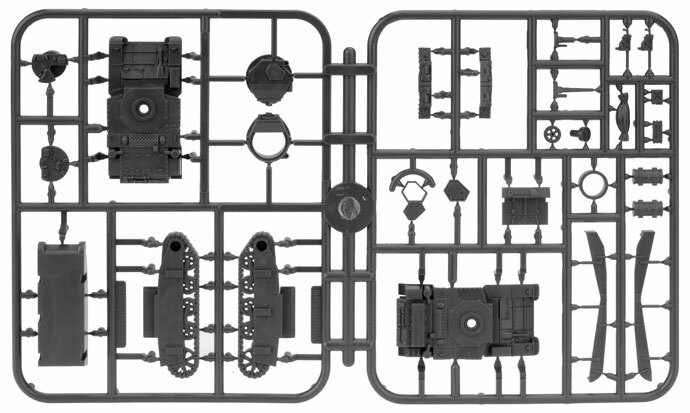 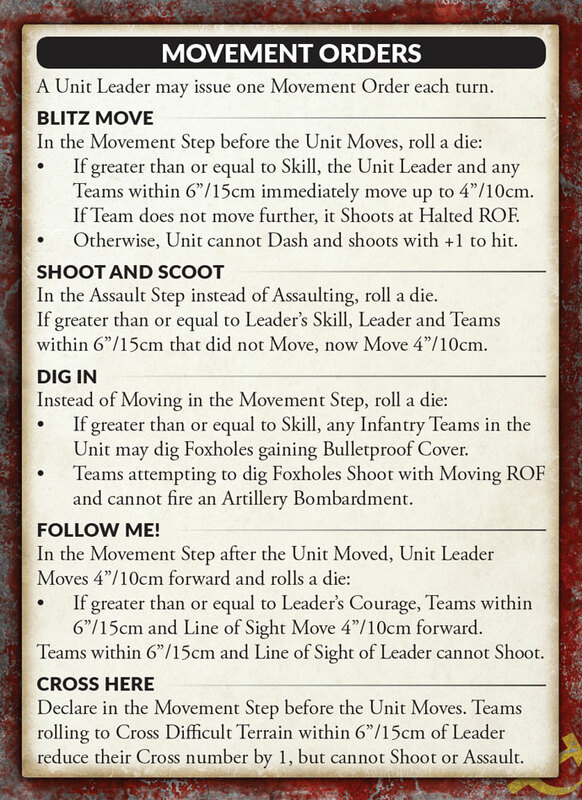 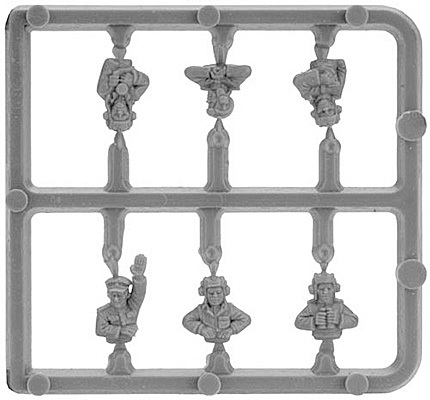 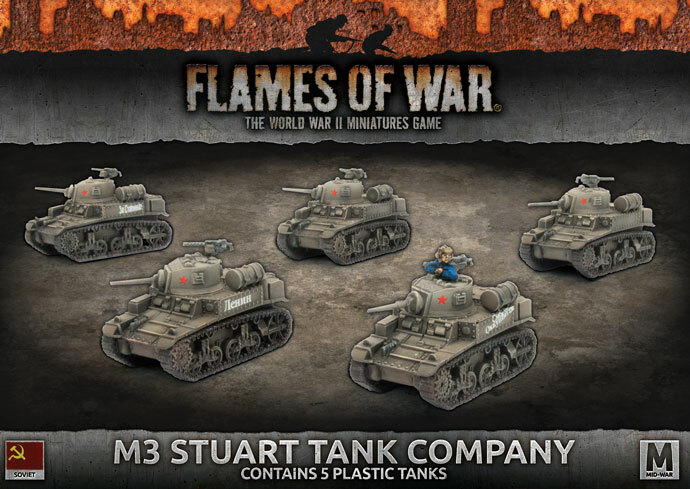 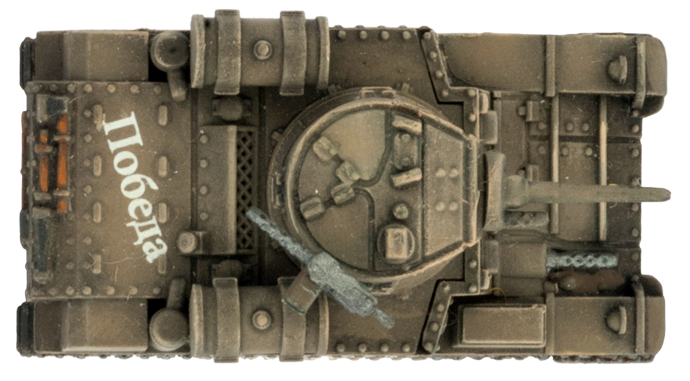 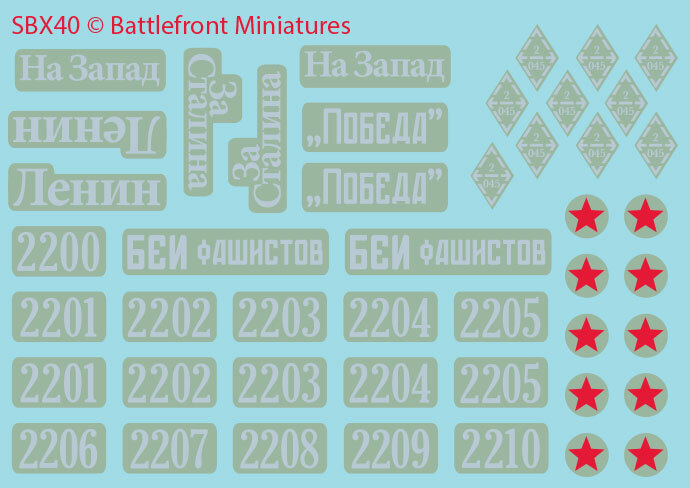 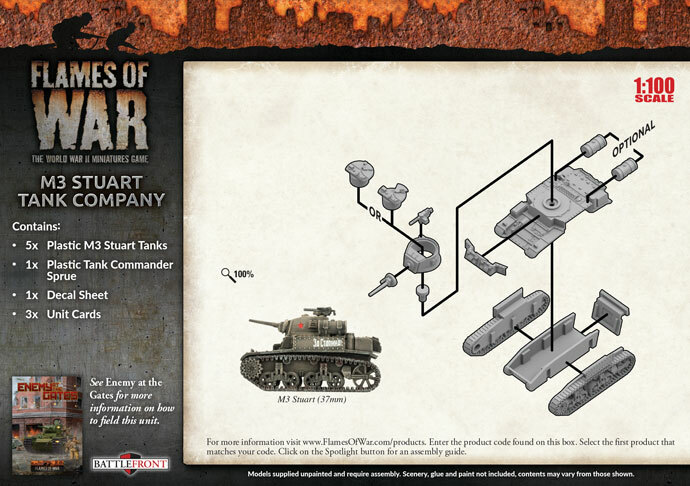 includes five plastic M3 Stuart tanks, one plastic Tank Commander sprue, one Decal sheet and three Unit Cards. 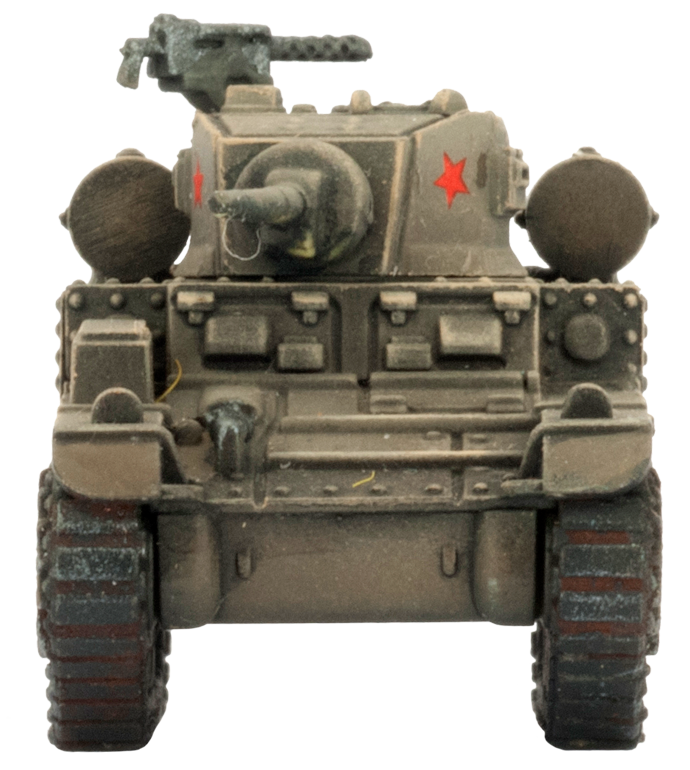 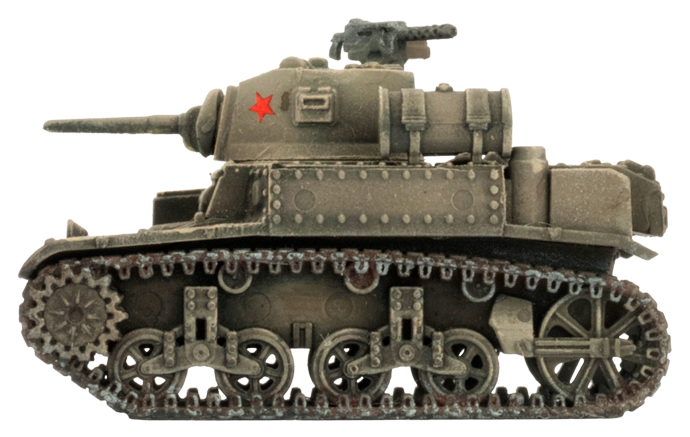 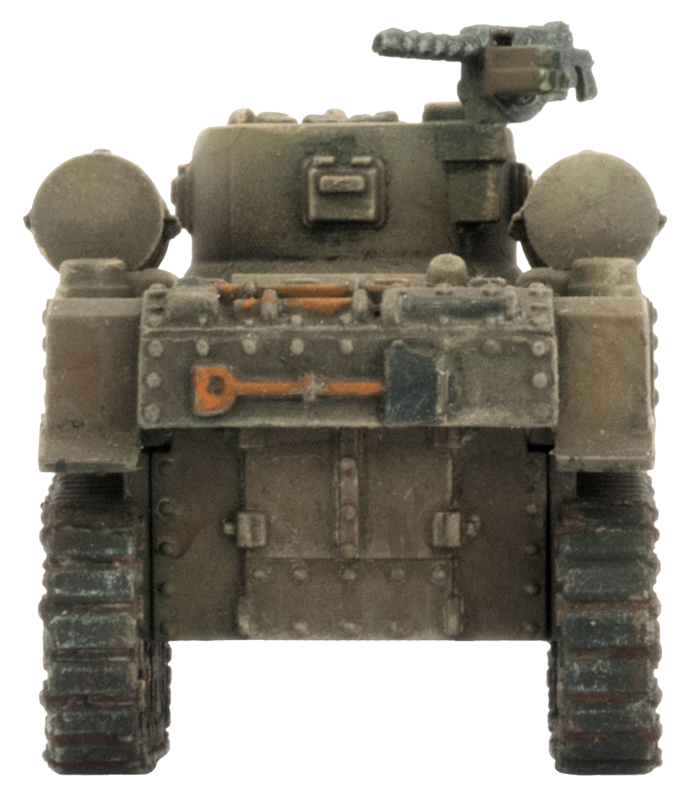 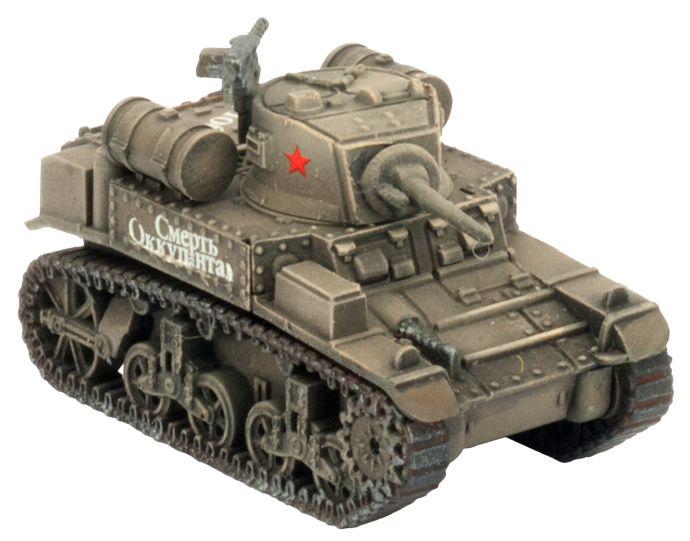 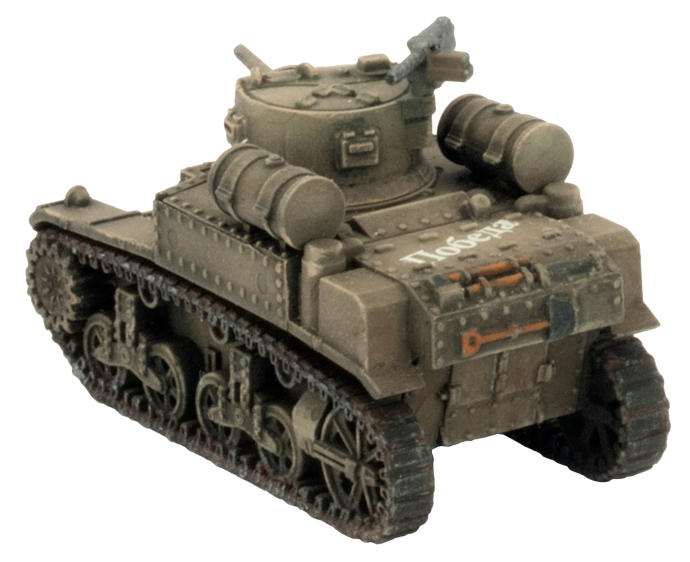 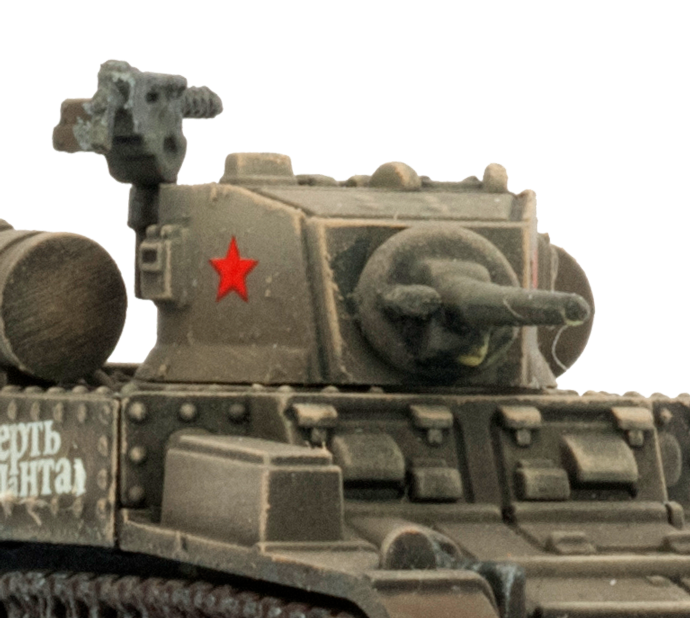 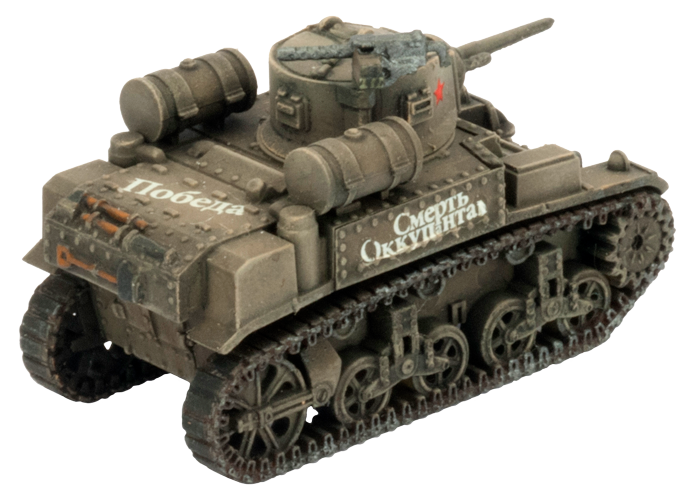 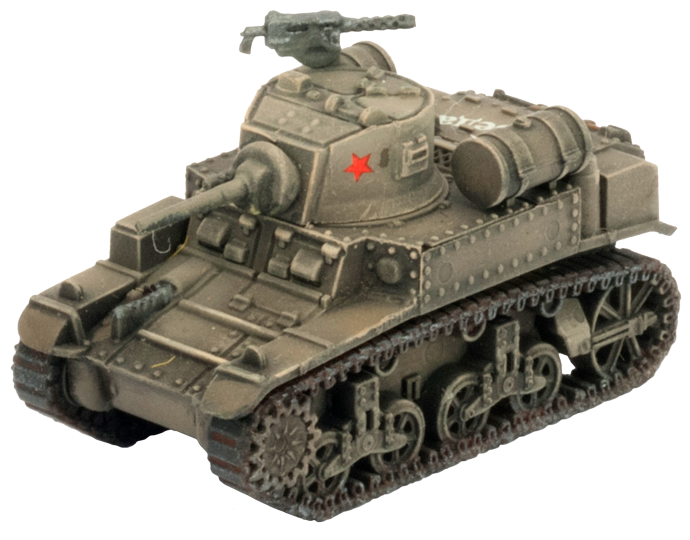 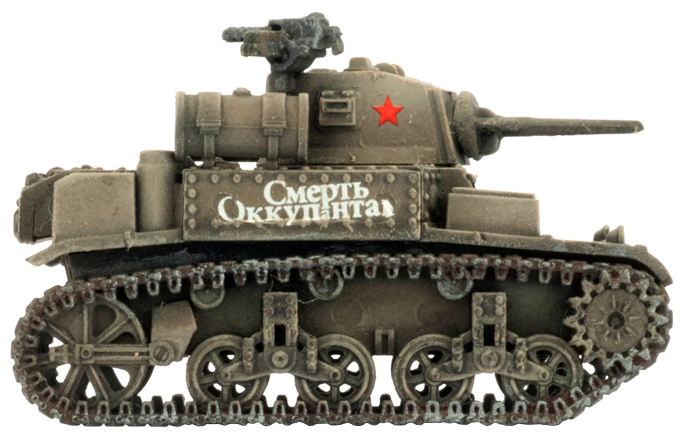 As a classic light tank, combining speed and light armour, the M3 Stuart fit in readily with the existing Soviet doctrine for exploiting breakthroughs. 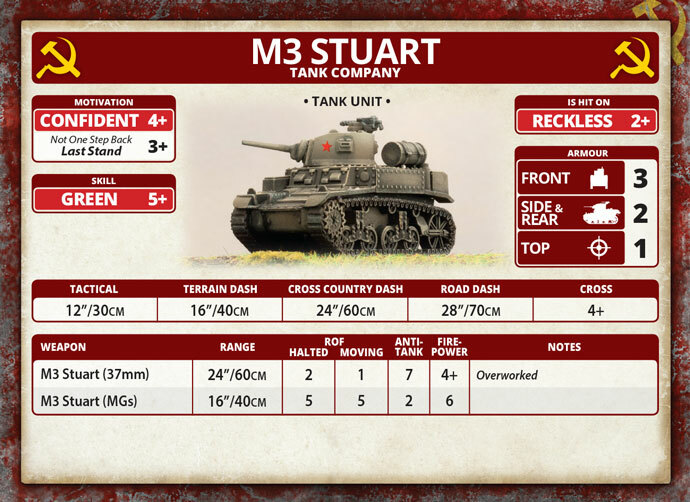 However, experience showed that the M3 Stuart's light armour was insufficient to allow it to operate alongside the well-armoured T-34 medium tank as an assault tank.